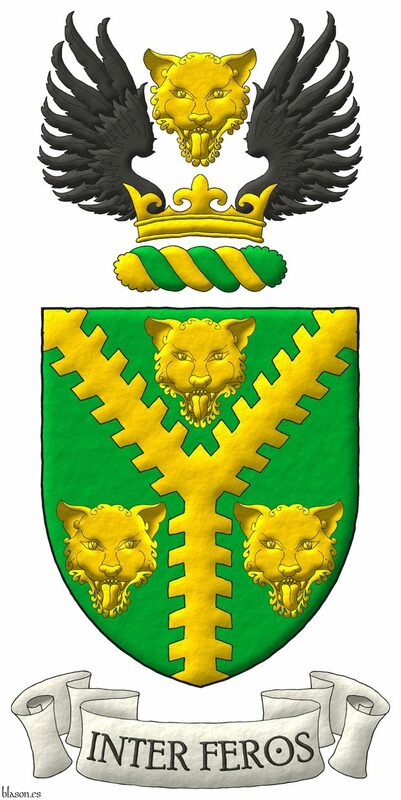 Upon: Richard Allen Stowe, crest. Richard Allen Stowe, motto and crest. Between, Pointed, Wreath, Head, Crown, Outlined in sable, Two, Raguly, Coat of arms, Personal, Illuminated, Interpreted, Motto (motivation), Leopard, Wing, Or, Pall, Sable, Vert, Stowe, Richard Allen, Upon, Crest, Freehand, Three and One.